President Trump, who made taking on China’s unfair trade practices one of his top priorities after coming into office in 2017, has shown that he’s willing to use unconventional tools to get Beijing to the table. But even if negotiators from his administration get China to commit to their demands — including protecting US intellectual property and buying massive amounts of US goods and services to narrow the trade deficit — that doesn’t mean America will go back to business as usual with Beijing. This isn’t solely a function of the administration’s brinkmanship, which has led both countries to the point of imposing new duties of roughly $360 billion over the past nine months. 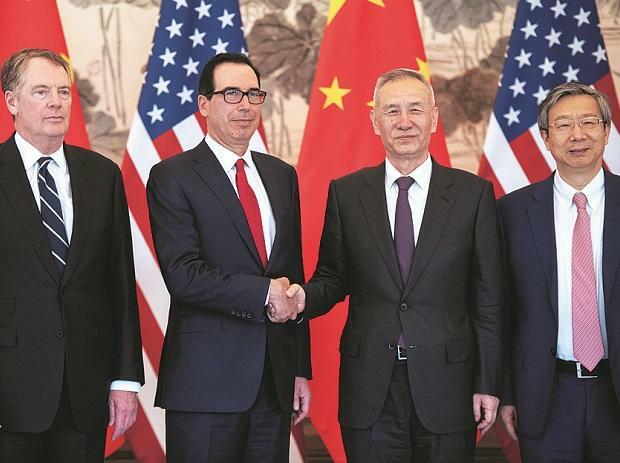 Shortly after US Treasury Secretary Steven Mnuchin and Trade Representative Robert Lighthizer visited China for a round of negotiations in late March, China’s vice premier, Liu He, returned to Washington for what may be the final push for the two countries to reach a deal. After meeting with Liu on April 4, Trump said that they were “rounding the turn,” while Liu said that a “new consensus” had emerged, according to Xinhua News Agency. But business leaders, both parties in Congress, and US allies are also running out of patience with China’s trade practices, leaving Beijing with few allies in Washington to help defuse an economic standoff. In the past two years, the Trump administration has imposed tariffs on roughly $250 billion in Chinese imports. It’s also vowed to limit market access for Chinese telecommunications companies and to scrutinize Chinese investment in critical US sectors. Embarking on an international campaign, the administration is pushing allies to bar China’s Huawei Technologies Co. from providing the infrastructure for 5G networks. Many Chinese officials find it hard to grasp that the rules of engagement are no longer the same, says Tim Stratford, chairman of the American Chamber of Commerce in Beijing. “Many in China see so many things in the US-China relationship change at the same time, they’re having a hard time assessing what are US policy goals and priorities,” he says. When the US Congress in 2000 agreed to grant China permanent normal trade relations—a year before the country became a member of the World Trade Organization—no one expected China to adopt America’s values. But there was a sense that Beijing was committed to a more market-oriented economy. While China is still too big a market to ignore, the shine has worn off, says Myron Brilliant, executive vice president and head of international affairs at the US Chamber of Commerce. Just 33 percent of respondents in the US-China Business Council’s 2018 member survey said they were optimistic about their companies’ prospects in China, compared with 58 percent in 2009. Initial signs that China was implementing its WTO commitments during President George W. Bush’s first term—including lowering tariffs on thousands of products and revising national and local regulations to bring them into compliance with WTO rules—were followed by a setback when the global financial crisis hit in 2008. For many reformers in China, the crisis was proof that the US economic model had failed. “I think under Xi Jinping the possibility of potential alignment has essentially disappeared,” says Scott Kennedy, a China expert at the Center for Strategic and International Studies. In response to the crisis, he says, the Chinese Communist Party doubled down on indigenous innovation, shutting out foreign companies and strengthening the People’s Liberation Army. Retired US Air Force Brigadier General Robert Spalding, a former Defense Department official who most recently served on Trump’s National Security Council, remembers “a complete battle within the bureaucracy” during the previous administration over whether to take on China. Ultimately, the White House chose to prioritize a climate agreement and the denuclearization of North Korea, he says. In 2015, Spalding says, the Obama team discussed potential sanctions on Chinese telecommunications equipment maker ZTE Corp. but failed to take action. Last year, Trump imposed harsh penalties on ZTE and received praise from both political parties.